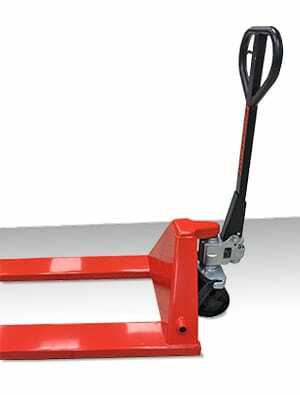 Usually found indoors, electric and manual pallet jacks are not only a back saver but can be time savers as well. 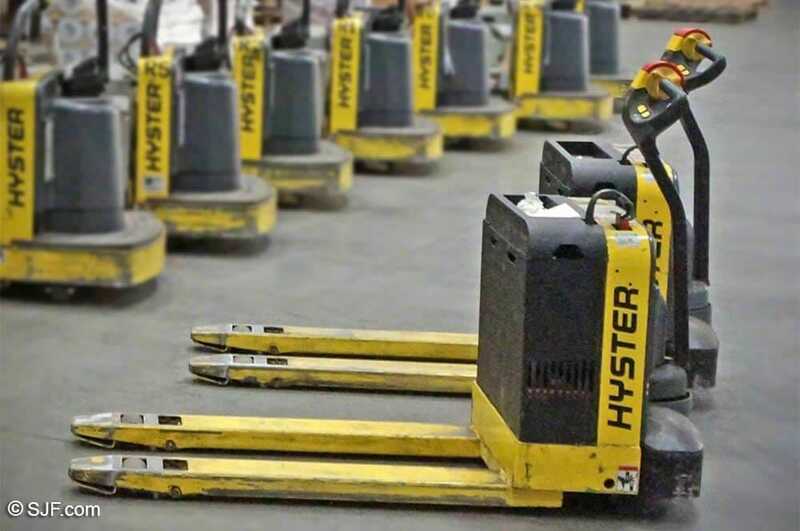 Used pallet jacks and trucks can be used to move heavy loads that can't be moved easily with a regular pallet jack. 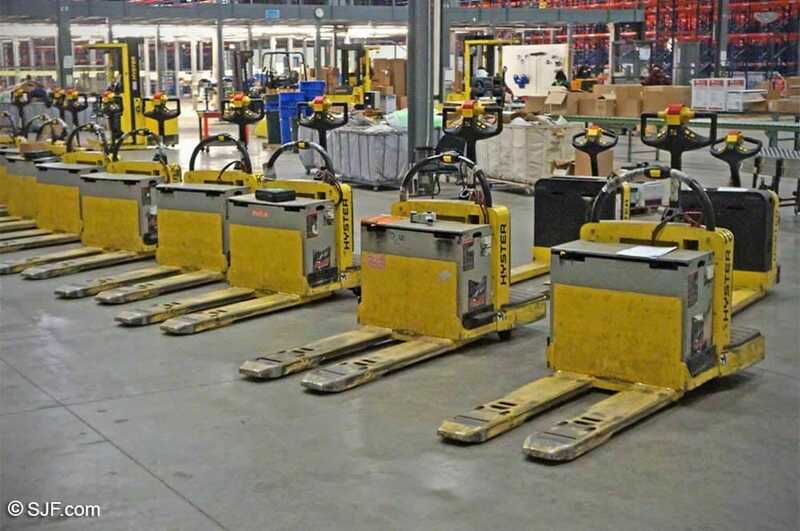 View our helpful Pallet Jack Guide for more detailed information on different styles and types of pallet jacks. 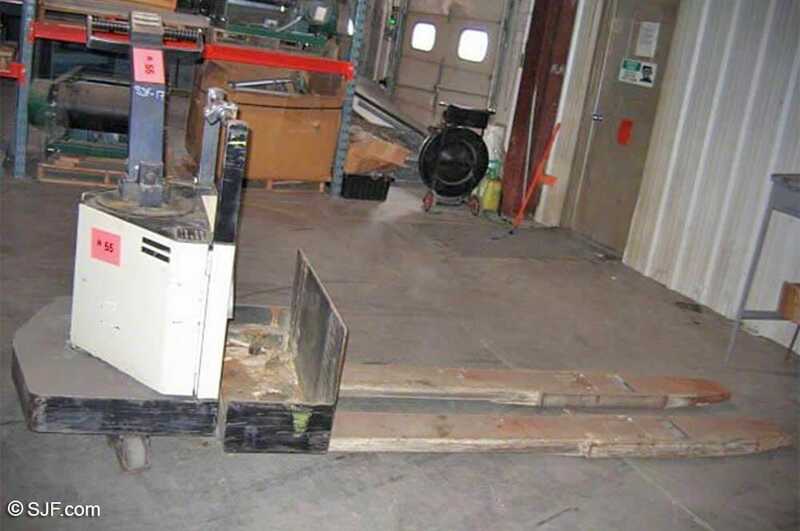 The used pallet jacks that SJF carries are in full working order and tested by our engineers. 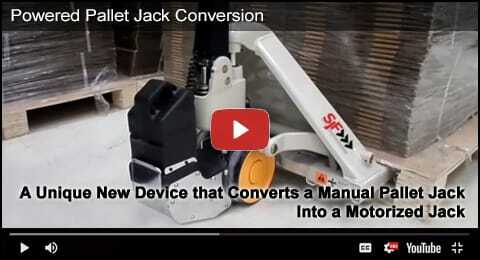 Converts Any Manual Pallet Jack into a Fully Powered Electric Pallet Jack! 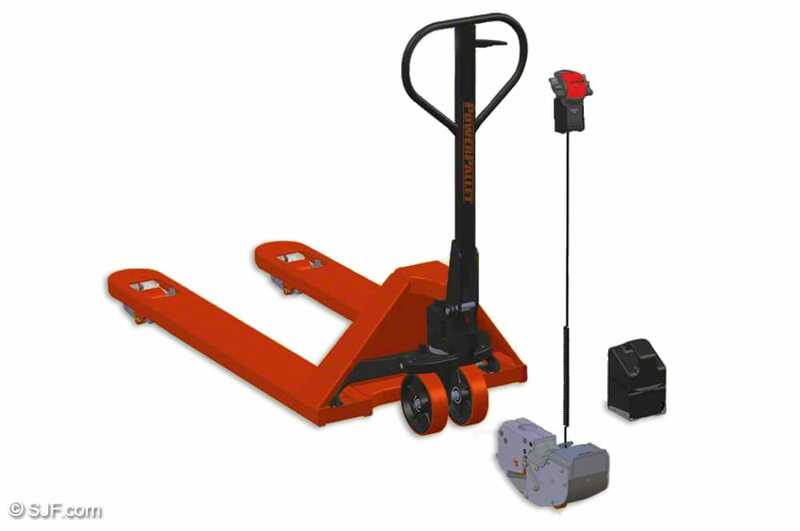 The PowerPallet 2000 offers a complete drive package that is pre-installed onto a quality manual pallet jack, converting the manual jack into a very powerful, yet ultra-compact, motorized pallet jack. 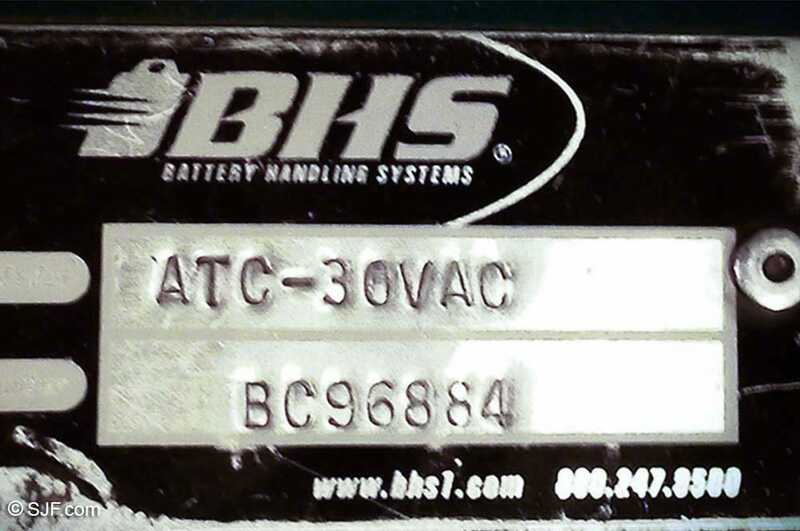 This machine is not just another walkie. 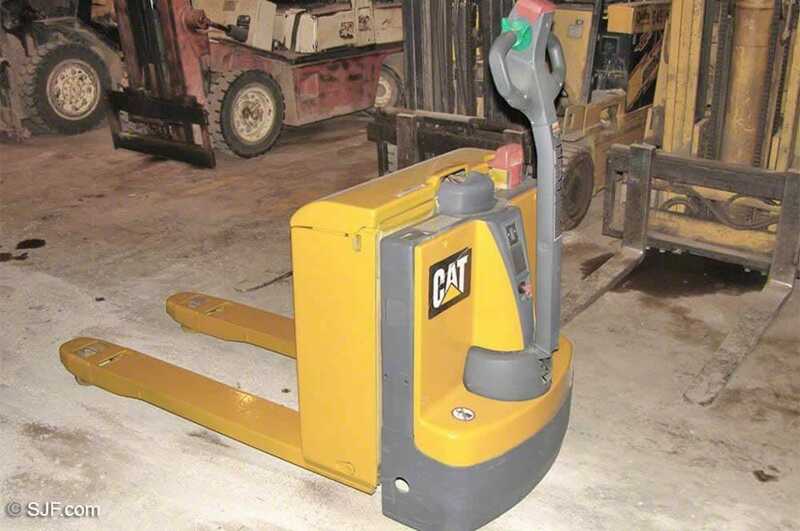 Simply put, the PowerPallet 2000 can greatly improve both the productivity and ergonomics of your operation, while still maintaining all the flexibility afforded by a manual jack. The compact, powerful and feature-rich PPR-2000 provides an excellent user experience, while also looking exceptionally good on your bottom line. As low as $2,566.67 ea. 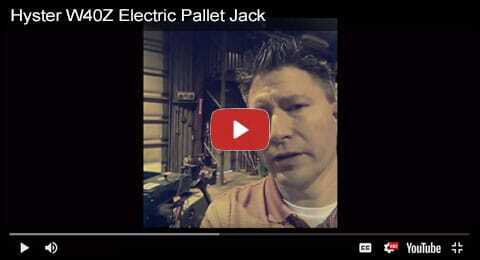 Click the video above to see a short demonstration of the PowerPallet 2000. 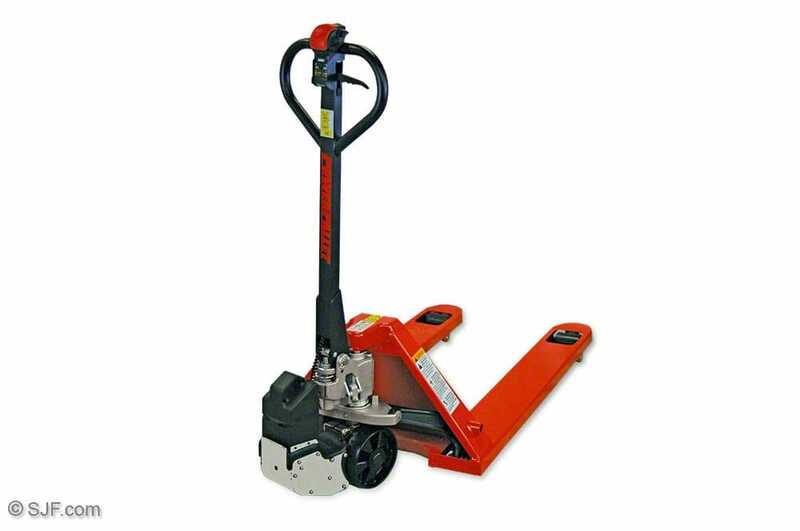 With a turning circle the same as for a manual jack, there is nothing more compact and user friendly for maneuvering heavy loads in tight spaces. 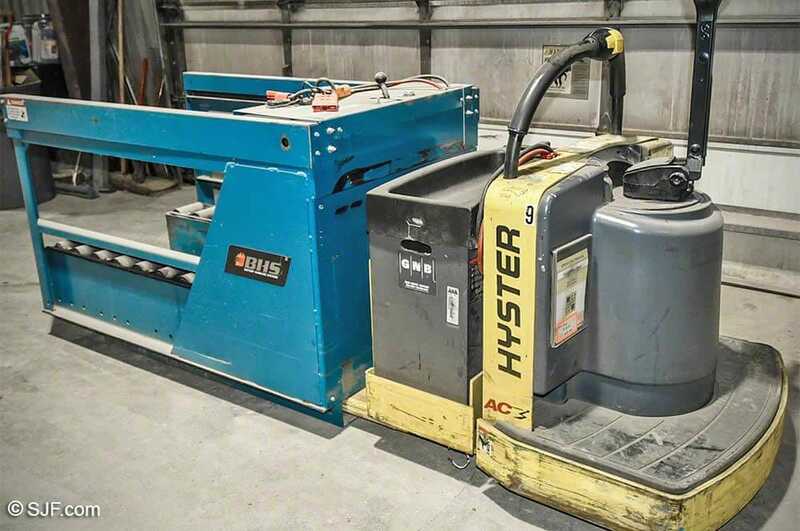 The ultra-compact size of the attached drive unit improves operator visibility of both the load being moved and the surrounding work area. This gives the operator a much better sense of the load being moved. 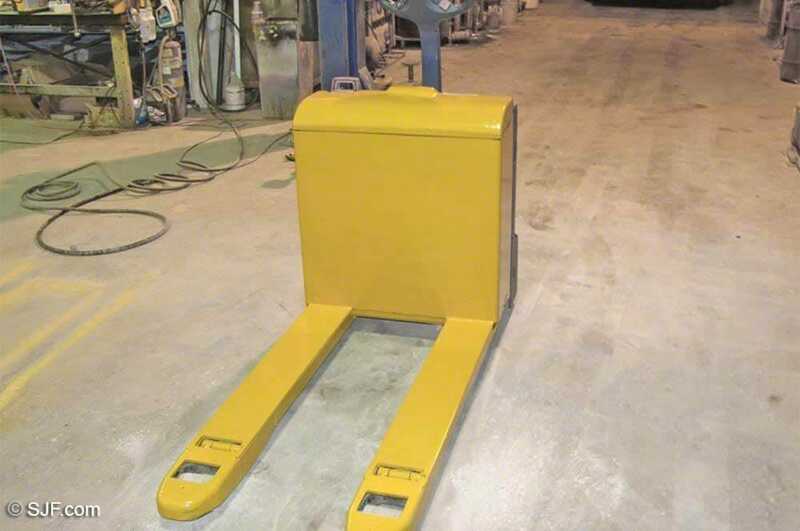 The patented design of the PowerPallet 2000 locates the drive wheel within a spring loaded drive arm. So a max of 350 lbs is borne by the drive wheel (enough load transfer for reliable traction), while all additional weight is borne by the steering wheels of the jack. The result... Less effort maneuvering at low speeds. A push of the mode button changes the unit from "Warehouse Mode" (green light) to "Truck Mode" (orange light). This feature is provided for easier back of truck operation. In this mode the unit can be operated with the handle vertical while the maximum speed is automatically reduced. Ergonomically designed handle allows safe and comfortable operation. 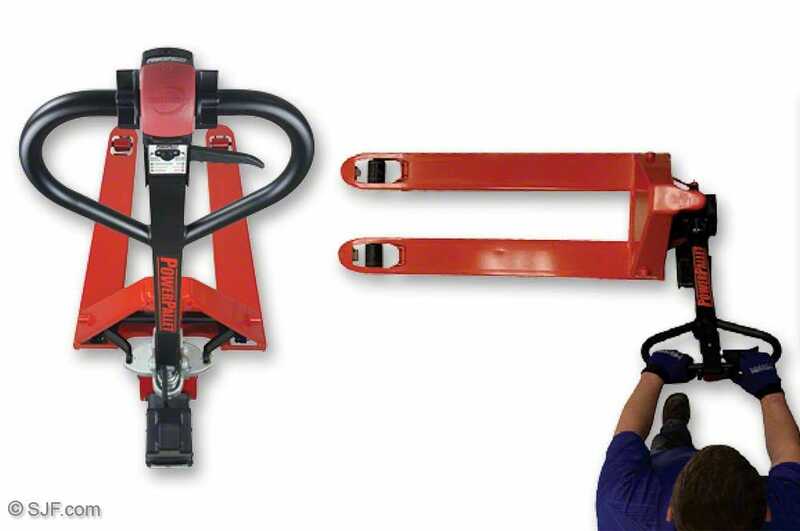 Tough and reliable torsion-resistant jack due to its extremely strong, high quality steel frame. 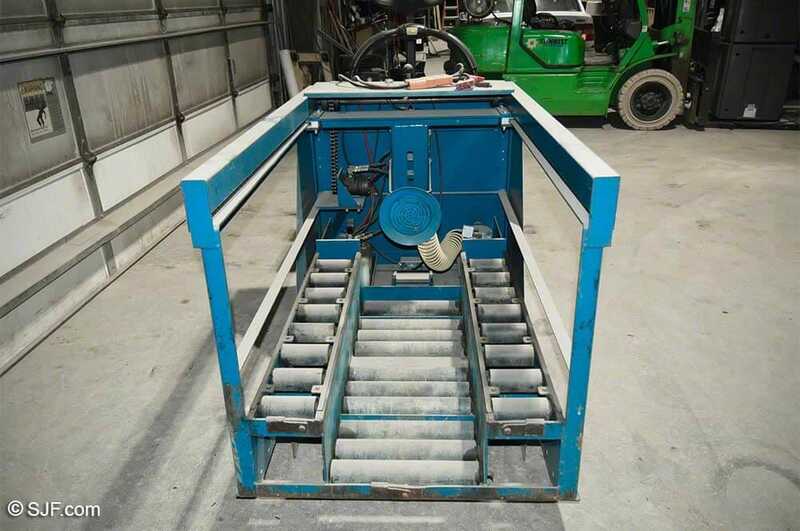 High quality, galvanized casted hydraulic pump that is strong, durable and requires very low routine maintenance. 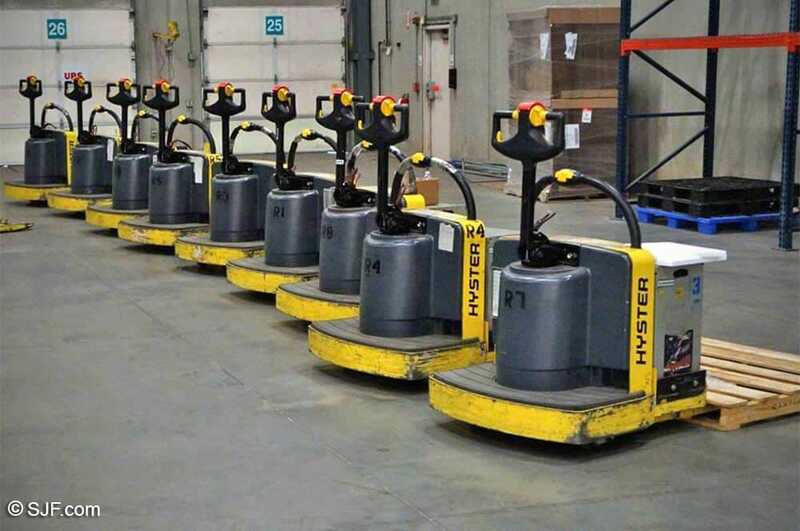 Nylon wheels are quiet, durable and non-marking making them ideal for delicate floors. 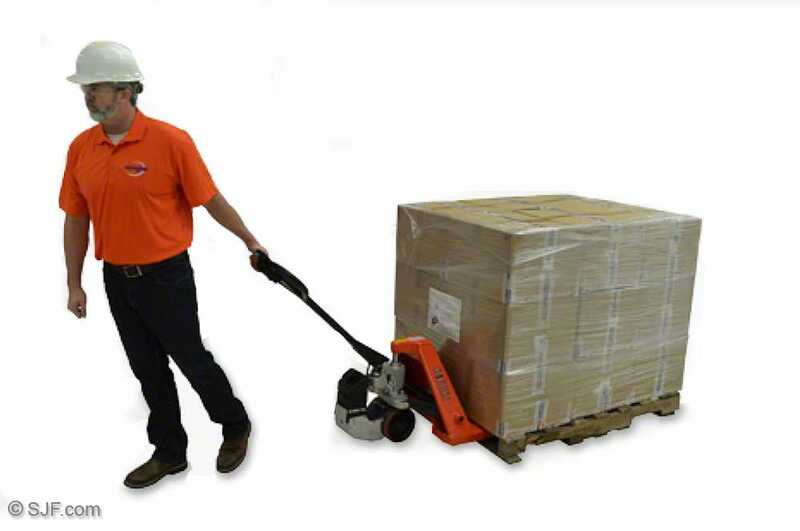 The PH premium manual jack also includes additional entry and exit fork rollers allow easy entry and exit in pallets. 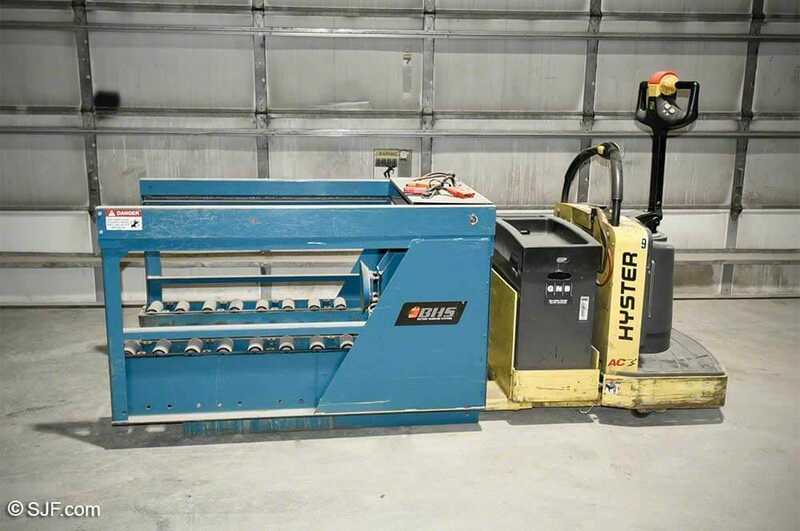 Click here for more info or to order the PowerPallet2000 from our eStore. $3,000.00 ea. 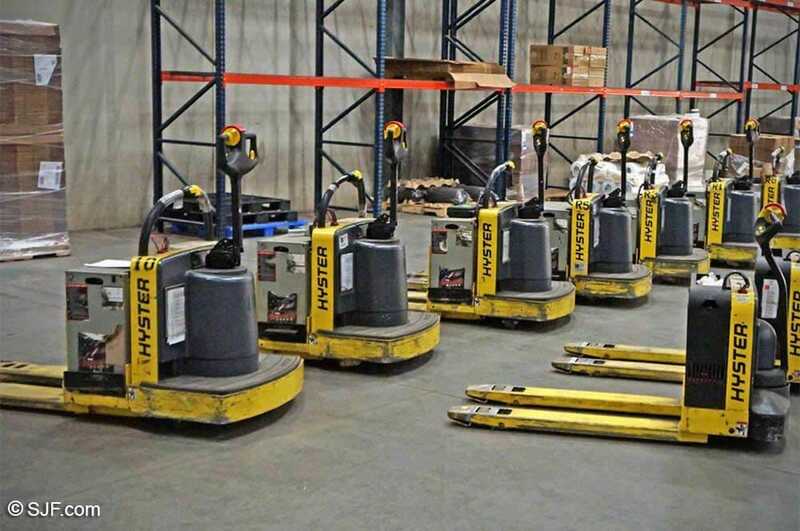 These pallet jacks have been SOLD – please call for information on other similar products. 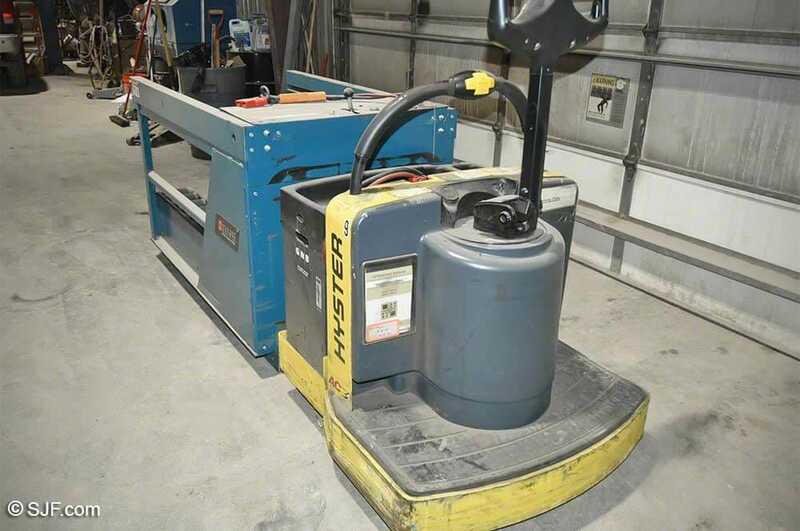 This system is priced with and includes the electric pallet jack as shown in photos above. 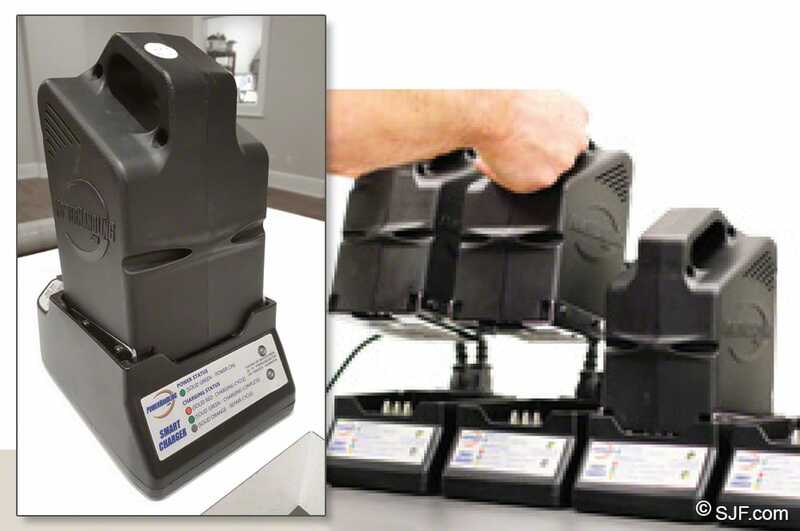 Also includes the Vacuum Extraction Option which eliminates the need for manual hook-up and reduces wear and tear on batteries.